Adding houseplants to your living space does more than just add greenery to a room. While plants increase oxygen levels, they offer a wide range of benefits that will help make your indoor space brighter and healthier! 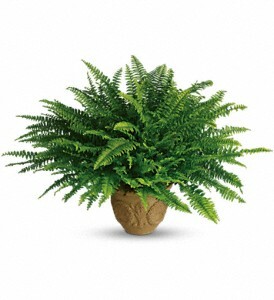 Boston Ferns help humidify the air. Mist plant daily for best results. 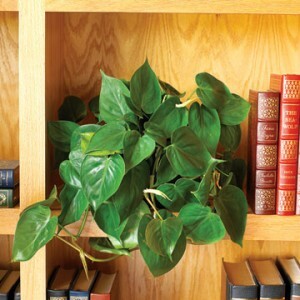 Philodendrons help remove formaldehyde. Exellent houseplant for new or renovated homes with new floors, carpets or walls. Peace Lilys help remove mold from the air. Well suited for bathrooms or damp areas of the home. Houseplants have been shown to reduce cold related illnesses by more than 30%! Houseplants release moisture vapor which helps increase the humidity levels around them. 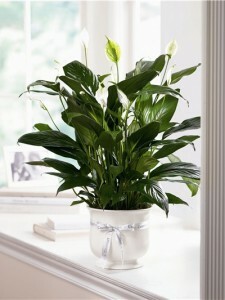 Releasing more than 97% of the water they take in, houseplants can help reduce dry skin, sore throats and dry coughs. Houseplants can help reduce or eliminate headaches because they refresh stagnant air. Since we’re breathing the same air, especially during the winter months, we’re constantly breathing the harmful substances trapped inside. Plants help remove the pollutants that cause headaches, nausea and more. During photosynthesis, houseplants draw carbon dioxide from the air. Certain plants, like eucalyptus, are excellent because they are natural helps to clearing phlegm and congestion from your system. 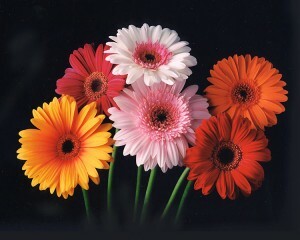 Gerbera daisies give off oxygen at night. Keeping a vase full of these colorful beauties beside your bed can help improve your night’s rest. Gerbera daisies bring bright color and release oxygen at night helping to remove benzene and trichloroethylene from the air. Good choice to help refresh nighttime air. 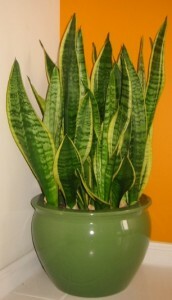 Snake plants, also called Mother-in-Law’s tongue, help remove formaldehyde and nitrogen oxide produced by fuel burning appliances. Excellent choice for living spaces, kitchens and rooms with wood stoves. Who doesn’t feel the calm and serenity of sitting overlooking a beautiful garden? Bringing some of that indoors also helps create a sense of calm, improve mood and decrease stress. If you’re looking to improve health, reduce fatigue and stress, place one 8″ diameter pot or larger approximately every 129 square feet. To help improve air quality, a good rule of thumb for an 1800 square foot area is to use 15-18, 6 to 8″ diameter pot plants approximately every 100 square feet. Matching the right plant to the right place in your home is important. Be sure to choose houseplants that best suit the location. Check with your local nursery for other houseplant options and benefits and follow watering and care instructions to get the most benefit of your indoor garden.